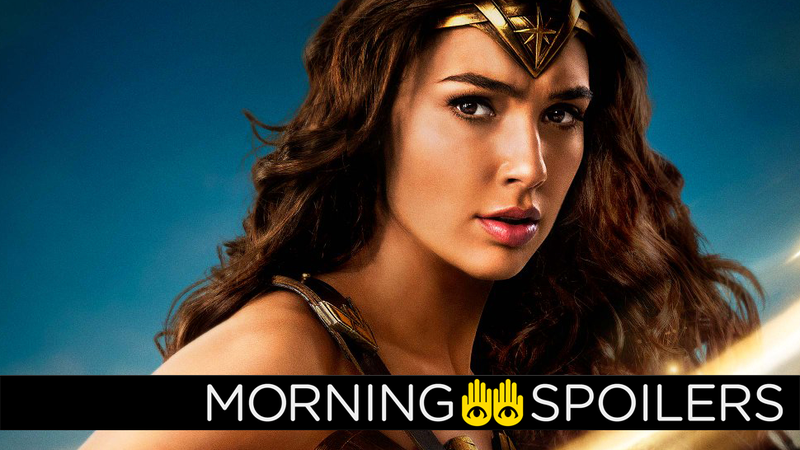 Diana could be D.C.-bound in Wonder Woman 2. It: Chapter 2 casts another adult incarnation of the original cast. Kevin Feige is just waiting to hear when Marvel can finally use the X-Men and Fantastic Four again. Ram Bergman says it’s going to be a while before we hear about Rian Johnson’s Star Wars trilogy. Plus, what’s to come on Westworld and Wynonna Earp. Spoilers, roll out! Actor Chosen Jacobs revealed on Instagram that Isaiah Mustafa (yes, the Old Spice guy) will play the adult incarnation of his character, Mike Hanlon. During an interview with From the Grapevine, Rian Johnson’s producing partner, Ram Bergman, gave a tentative update on when you’ll likely hear more about his proposed Star Wars trilogy. During the Produced By Conference, Kevin Feige stated he’s waiting to hear back if the Fox/Disney merger will grant the MCU access to the Fantastic Four and X-Men roster of characters. I’m just sitting, waiting for a phone call to say yay or nay. But obviously it would be nice to have access to that entire library. Some set pictures of vehicles in various states of distress hint at some Washington DC adventures for Diana. Scott brags he’s an Avenger (and Hope is not) in the latest TV spot. Speaking with Deadline, Benedict Cumberbatch cautioned the world to just try and stop him from playing the character in future Marvel movies. You know, as long as he makes it out of the end of Avengers 4 in one piece. Oh, Strange? Just try to stop me. That’s all kind of lined up as far as I’m aware, but who knows? I mean, you know, the problem is, how does he get out of where he’s at. But that’s the only thing. I’m bits of dust at the moment as far as I understand. So you really have to ask (Marvel Studios president) Kevin Feige. But as far as wanting to do it, yeah, I would love to go back into that role. Coming Soon also has the poster for First Man. There’s loads of new footage in this two-minute featurette. Meanwhile, Tig Notaro took to The Late Show to reveal a bit more about her new Engineer character, a human Starfleet officer named Jet Reno (and also about how she’s wrangling with Trek’s beloved technobabble). Sad news — TBS has cancelled People of Earth. During a recent Reddit AMA, Jeph Loeb encouraged fans to somehow “find a network” willing to produce more episodes of Agent Carter. Wouldn’t that be cool? Find us a network! Hayley has been so kind of saying she’d love to come back. Cloak & Dagger finally get a chance to speak in the synopsis for episode four, “Call/Response.” Head over to Spoiler TV for images. The Bat-signal appears in a recent set photo. Misty looks quite happy (and ready to robo-punch some people) in a new video showcasing her bionic arm. Syfy has released a dramatic new trailer for season three of Wynonna Earp, replete with potato-licking, spectral eyeballs on a ceiling, and more gunplay than you can shake a gaffi stick at.